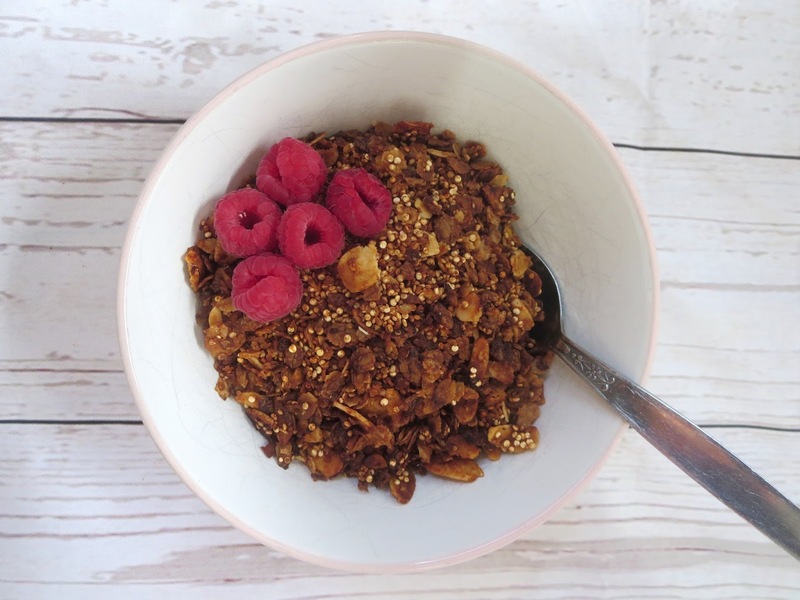 Granola is one of my favourite foods - well, lets face it most breakfast foods are my favourite! 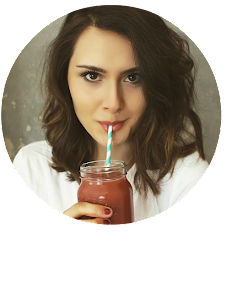 It makes the quickest breakfast when you're in a rush but still provides so much great taste, texture and goodness that will fill you up and help you to power through until lunch. It also makes a great snack, or sprinkle some on top of coconut yogurt and you've got yourself a yummy dessert. Shop-bought granola, even the ones branded as 'healthy', are almost always packed of sugar, rubbish oils and preservatives, all things we want to avoid if we're aiming for a happy, healthy life. 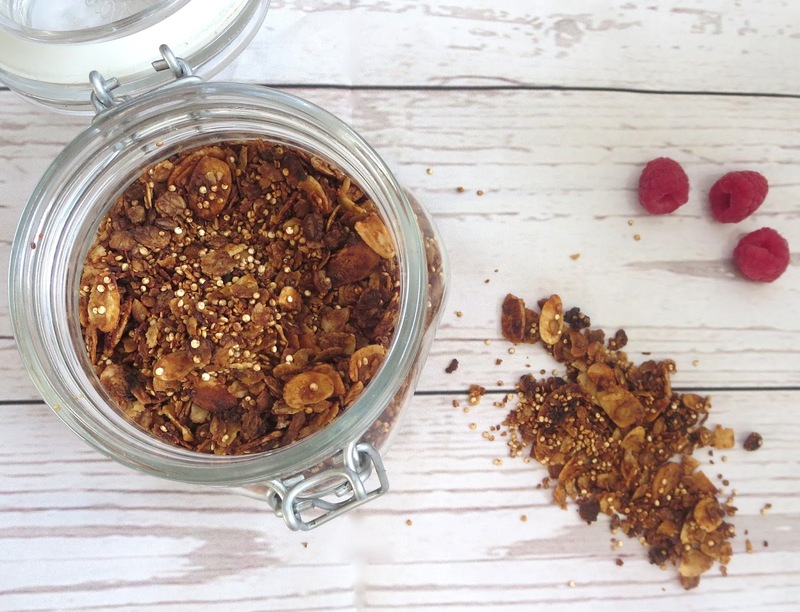 Making granola at home is not only a way to guarantee you're getting a good, healthy breakfast cereal but it tastes far more delicious and is super cheap & quick to make too! You can experiment with lots of different flavour combinations as well, but my current favourite is this quinoa and almond blend which packs a protein punch as well as being really yummy. Quinoa is one of my favourite grains, although technically a seed! 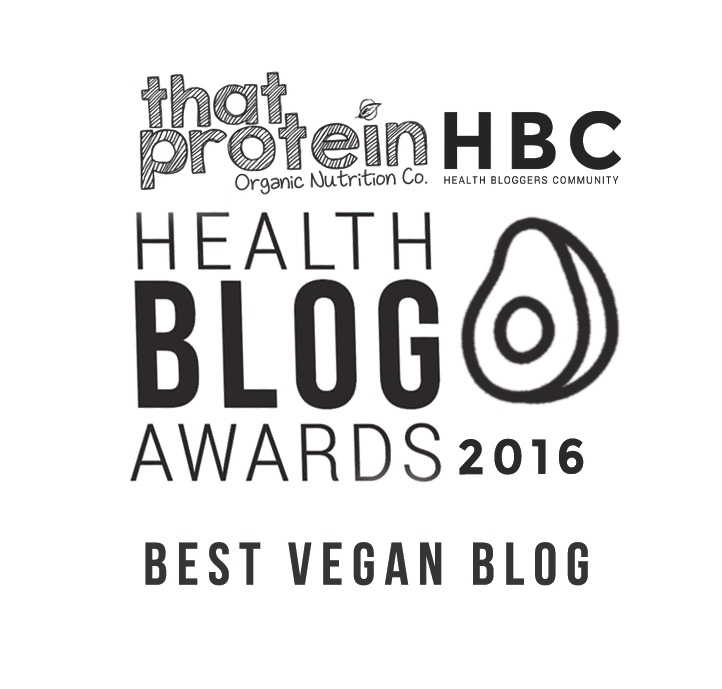 It's naturally gluten free, high protein, high fibre and is rich in vitamins such as B2, magnesium and iron. I find quinoa fills me up and satisfies me for hours, I don't feel sluggish or bloated after consuming it and I just love the nutty flavour it has. As I adore it so much I thought I'd make a granola with it, because what better way to start the day? I did some experimenting and this recipe is a winner! 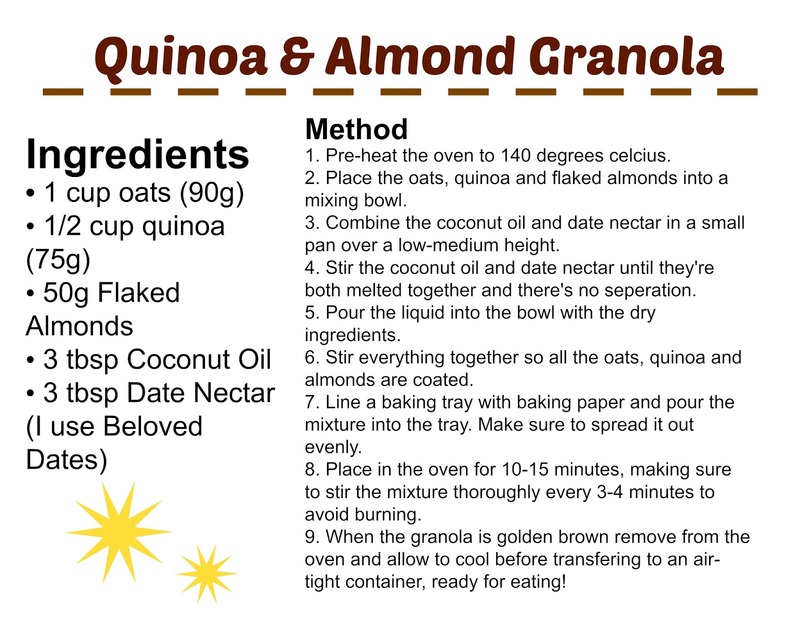 I combine the quinoa with oats, a traditional base of granola. Oats are an excellent breakfast food as they contain a high amount of fibre that's absorbed slowly into the bloodstream, this helps you feel fuller for longer and stops food cravings. Oats are also a good source of protein, iron and complex carbohydrates - all things you need for a healthy, balanced diet. In addition to this, oats have been shown to reduce the risk of type 2 diabetes, certain cancers and lower blood pressure. A true superfood! 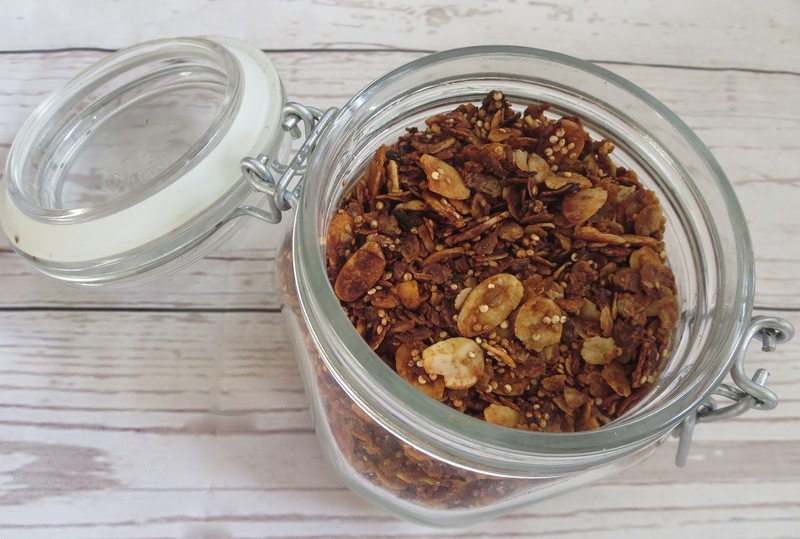 The almonds in this granola give such a yummy texture and taste, as well as providing essential healthy fats and added protein. Then we've got the best natural sweetener, Beloved Dates Date Nectar which gives the granola a more sweet, rich taste that you can't not love!